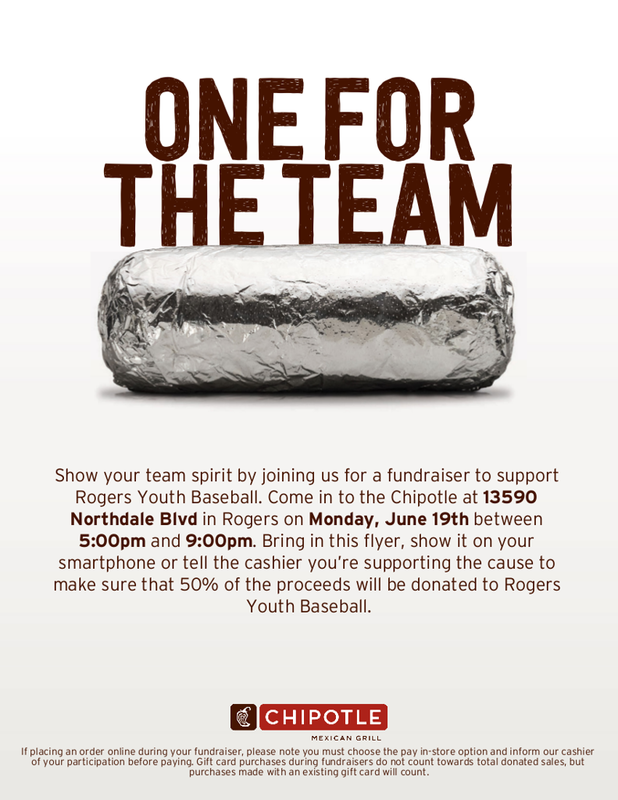 Join Rogers-Otsego Youth Baseball at Chipotle in Rogers for a great fundraiser for our youth baseball programs. Our programs serve over 600 youth baseball players in Rogers and Otsego. Print the flyer, or mention ROYBA Baseball when paying for your order to help support our programs!